Karen Kelly is a twice BAFTA nominated animation director known for her ethereal painterly animation which has been used in her own award winning films and commercials. 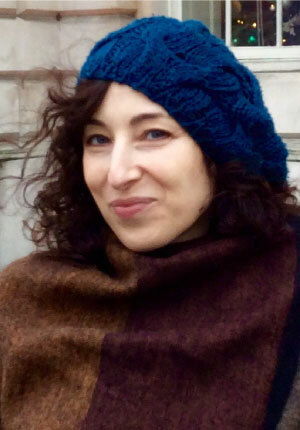 Karen has a Masters of Art degree with distinction in animation from the Royal College of Art and has won awards both in the UK and Internationally for her animated short films. The animated film 'Stressed' [Arts Council /Ch4 film] won the Special Jury Prize at the Hiroshima International Animation festival, Japan; Special Jury Award, Annecy, France; Best Film under 15 minutes at the British Animation Awards and Best Animated Film over 5 minutes, along with her commercial work which won Best Television Commercial for 'Primal, Levi's Jeans for Women' at the World Animation Celebration, Los Angeles, America. Her work has been screened at numerous festivals worldwide and shown on terrestrial television such as CH4, London and she has also exhibited work at the British Film Institute; Institute of Contemporary Art, London; National Portrait Gallery, London and Pompidou Centre, Paris, France. 'Egoli' BAFTA nominated animated film; 'Stressed' BAFTA nominated animated film; 'Candela' Ch4 Cuban film development; Co-creator of 'Bedlam' a satirical, social issue based urban animated series for Ch4 television, in development. She has experience as a Commercials Advertising Animation Director, Storyboard Artist for feature films and commercials, Character Design and Pop Promo Artistic Director. Current work- conducting a comprehensive study through training, drawing and animation of the Japanese Martial Art 'Shidokan' for an independent animated film project and exhibition. Karen is also an Illustrator and has a Bachelor of Arts with distinction in Illustration from Harrow School of Art. She is involved in creating colourful illustrations for charities close to her heart such as the 'Kimono Girls in London' who are a fund raising organisation set up in response to Japan's 2011 tsunami. She is committed to raising awareness on social issues through artistic expression, believing that through art and mutual cultural exchange the world could be a happier place. Fumiko Magari started animation filmmaking when she was firstly inspired by animation films, made by Tadahito Mochinaga, known as the father of Japanese and Chinese puppet animation, at his film studio "Puppet Animation Film Studio". Magari's first animation film was the American TV series "The New Adventures of Pinocchio" (1961), and she made further American TV series, including "The Daydreamer"(1966), "Mad Monster Party" (1966) and "Ballad of Smokey Bear" (1967). During these filmmakings, she also made two animation shorts, produced by Echo Incorporated, which are "Fushigina Kusuri (A Wonderful Medicine)" (1965), and "Yokoso Uchujin (Welcome, Alien)" (1966), based on the novels written by Shinichi Hoshi. Then, she made other animation shorts, produced by Echo Incorporated, including "Hana to Mogura (The Flower and the Mole)" (1970), "Chikotan Boku no Oyomesan (Chikotan)" (1970, first drawing work) and "Saru Kani (The Monkey and the Crab)" (1972). Japanese TV series include "Komet-san (Miss Comet)" (1967, animation part), "Salaryman Mini-Mini Sakusen" (1970), "Henshin! PonPoko Dama (Transform! PonPoko Dama)" (1973, animation part and opening title), "Majin Hunter Mitsurugi (Genie Hunter Mitsurugi)" (1973, animation part), Japan's first high-vision work "Buriki Robotto no Koi (The Tin Robot's Love)" (1988), NHK Educational TV Program "Puchi-Puchi Animation", and NHK Educational TV Program "Sansu no Jikan Mathematica (Arithmetical Lesson Mathematica)" (2004, a program on mathematics for lower elementary school years). Theatrical animation films include Japan's first feature puppet animation "Nutcracker Fantasy" (1979) and "Kitty and Mimmy's New Umbrella" (1981). 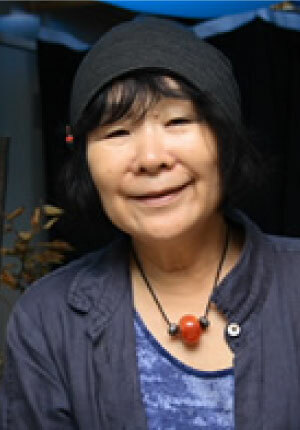 As for special effects she worked on "Ultra Q, Episode 4: Mammoth Flower" (1966, animation part), "Teito Monogatari (Story of an Imperial Metropolice)" (1988, animation part) and "Spirit Warrior" (1988, animation part). Magari has also made three works at the requests of prefectures in Japan. "Ten made Todoke (Reach for the Sky)" (1993), made for Saitama Prefecture, is screened irregularly at the Tokorozawa Aviation Memorial Park, where Japan's first flight took place. It is perhaps the world's only stop-motion animation film on IMAX. Other two works are "Kentoshi Monogatari (Story of Envoy to Tang)" (1999) for Nagasaki Prefecture and "Great Adventure of Miss Veedol" (2003) for Aomori Prefecture, based on the story of the first non-stop Pacific flight starting from Sabishiro Beach in Aomori. On the other hand, the number of commercials she has worked on since the 1970s is more than 1,000, including "Isodine" (Meiji Holdings Co., Ltd., commercial series, since 1988), "Mr. CONTAC" (GSK, commercial series, since 1996) and "Docomo Dake" (NTT DoCoMo, Inc., commercial series, since 2005). She is continuing commercial filmmaking at an easy pace. Today, Magari is contributing her energy to bring up the next generation at the Laputa Art Animation School. David Buob was born in 1972 in a small village in the black forest in the South-West of Germany. After finishing school he went to Kassel in 1993 to study architecture. But after two years he began a stonemason apprenticeship, which he finished in 1997, and worked a lot on gravestones carving roses with a cross, doves and especially the praying hands of Albrecht Dürer. In 1998 he went to Dresden to study sculpture at the Hochschule für Bildende Künste／Dresden Academy of Fine Arts. Almost immediately he left the stone sculpting and got very much interested in conceptual and computer based art. After three years and a one year study in Vienna he changed to the New Media class, getting more into performance based video art, where he got 2003 his Diploma and finished 2005 with a Meisterschüler degree. After his studies, in 2005 he spend 6 months with an artist in residence program in New York, in 2007 for 3 months in Columbus, Ohio and in 2008 for 8 months in Helsinki, Finland. Besides still working as a stonemason carving tombstones he had exhibitions and Screenings in Germany, France, England, Turkey, the USA, Japan and a lot of other countries. In 2009 he decided to focus on short animation and released his first short animation "Das Haus" 2011, which was shown on more than hundred festivals worldwide also 2012 in Hiroshima. His second film "Utö" was premiered 2014 and shown on more than 50 festivals. Recently he finished his third film "Me by You" which still has not yet premiered and he already is working on a new short animation film with the working title "Tongoy" which might hopefully be finished in 2016. David Buob is basically doing everything by himself from scriptwriting, animation and directing, even sound and music he is doing sometimes himself. He now prefers the classical hand drawn water colored animation on paper, each frame on one single paper without compositing or computer work. He lives and works in Dresden and Berlin. Alik Shpilyuk was born in 1958. He graduated from Moscow Institute of Economics and Statistics as a computer programmer, but his real passion from his earliest years was cinema. His film education consisted of everyday screenings at Gosfilmofond (National Film Archives of the USSR) from 1975 till 1980. He was one of the founders of the "Dialogue" cinema club in Kyiv - one of the biggest in Ukraine - in the late 1980-s. From 1990 till 1999 he worked at the directorate of Kyiv "Molodist" IFF (as Program Coordinator, then Program Director). Since 1993 he has worked at KROK International Animated Film Festival (first as Director of Screenings, then also as Program Director, member of Selection Committee, and catalogue editor). From 2000 till 2007 he was Deputy Chief Editor of KINO-KOLO magazine - the specialized publication on film art, line producer of two Swedish documentaries directed by Gunnar Bergdahl (Ljudmilas röst/The Voice of Ljudmila, 2001 and Ljudmila & Anatolij, 2006). From 2007 till 2009 he worked as Deputy Director General for International Relations of "Multiplex-Holding" - the largest Ukrainian cinema network. From 2010 till 2014 he worked as Program (Artistic) Director of the Odessa IFF, being now the Program Advisor and member of Selection Committee. 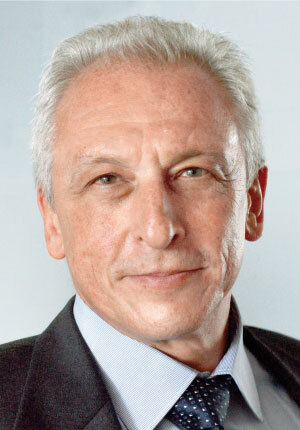 Since 2009 he is the Board Member of the National Union of Filmmakers of Ukraine, Head of the International Commission. Also he is the Deputy Head of Expert Commission of the Ukrainian State Film Agency and at different times was a curator of film programs for Goethe Institute in Ukraine, British Council in Ukraine, French Institute in Ukraine. He has been member of selection committees and jury member of many Ukrainian and international film festivals (including Annecy International Animated Film Festival, goEast Festival of Middle- and Eastern-European Films, Warsaw IFF, Tbilisi IFF, Batumi International Art House Film Festival etc. ), member and expert of the European Film Academy, member of FIPRESCI, independent film critic. 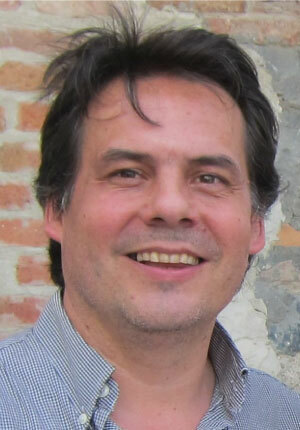 Olivier Catherin was born in 1965 in Paris and he trained as an ethnologist at the School of Advanced Studies in Social Sciences (EHESS) and working on question of national and ethnic identity in Georgia, Caucasus. After fulfilling a managerial position in a service company, he retrained in 1997, attending a master class in the management of cultural enterprises. Then he worked for a film distributor (Arkéion Films), founded Les Films des Quatre Rives Association and was employed by a federation of film societies. He became member of the board of the French Animated Film Association (AFCA) in 2000. He is fully employed by the same 2 years later, in charge of International Animation Day Celebration in France and the Resource center. From 2003 to the beginning of 2008, he was the French representative on the ASIFA board, and was in charge of the coordination of the International Animation Day (taking place every year on October 28th). 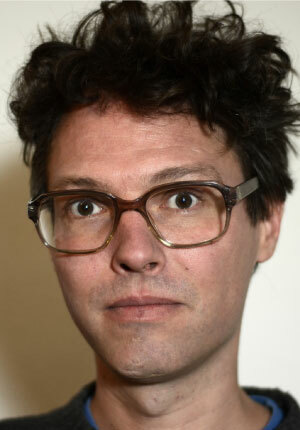 In April 2008 he left the AFCA to create and manage the animated film production company "Les Trois Ours" (The Three Bears), with Serge Elissalde and Jack Wang. The company stopped its activity in end of October 2014, after producing more than 15 short films including the César for Best short animation awarded film 'Kiki of Montparnasse' and a few audiovisual works. Olivier Catherin is also in charge of animation department of the production training at the INA (National Audiovisual Institute) and has also been teaching in Ecole Georges Méliès in Orly and is in charge now in Pole IIID in Roubaix of the fifth year student's film projects. He's also moderating roundtables or master classes, also animation curator for Rencontres Audiovisuelles in Lille, founder and chairman of the artists' collective Barybal. In 2012 he becomes again member of the board of the French Animation Film Association and is actually its General Secretary. Since August 2015 he's the manager of Noranim, association regrouping the whole animation field in the North of France (animation schools, producers, studios, associations, authors and animation technicians). The same year he's one of the founders of the European Animation Pride Awards association (dedicated to create an awarding ceremony to celebrate abilities and talents in European animation) and member of the board.